Rentec Direct tenant screening reports have been updated to include more information and more detail about your rental applicants. The New Credit Report Card will be released for tenant screening clients on Monday, September 12, 2016. Evaluating a rental applicant’s credit report allows landlords and property managers to understand a potential renter’s financial responsibilities based on their creditworthiness. Rentec Direct partners with StarPoint to provide a TransUnion Credit Report for you. 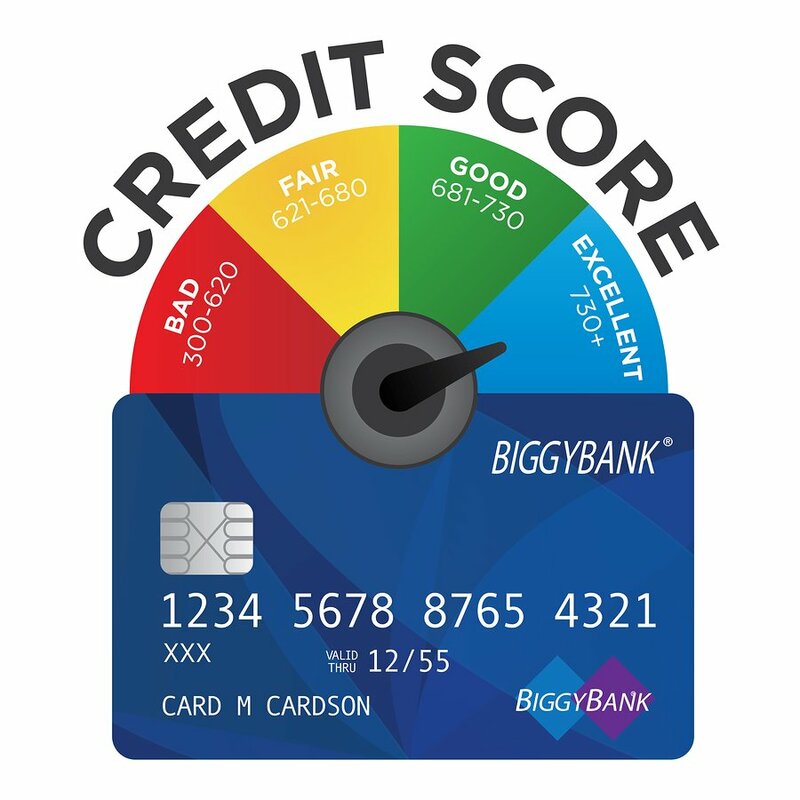 This new report does not include an exact FICO score, but provides a pinpointed range, for you to make an educated decision during your approval process. Here’s a look at the credit score indicator on the New Credit Report Card. Why does the New Credit Report Card not have an exact FICO score? In order to access a rental applicant’s Full Credit Report, including FICO score, you need to complete an onsite inspection of your office or home office. Onsite inspections are a requirement by the credit bureaus as a measure to protect consumer credit information. This is a simple procedure in which a friendly inspector makes sure that your office is secure and you have a legitimate reason for accessing credit reports. There is a one-time inspection fee of $50 and takes a few business days to complete. For landlords and managers that do not want to wait for an inspection to take place, Rentec Direct offers the Credit Report Card. The Credit Report Card gives similar information but cannot include the exact FICO credit score, per credit bureaus guidelines. 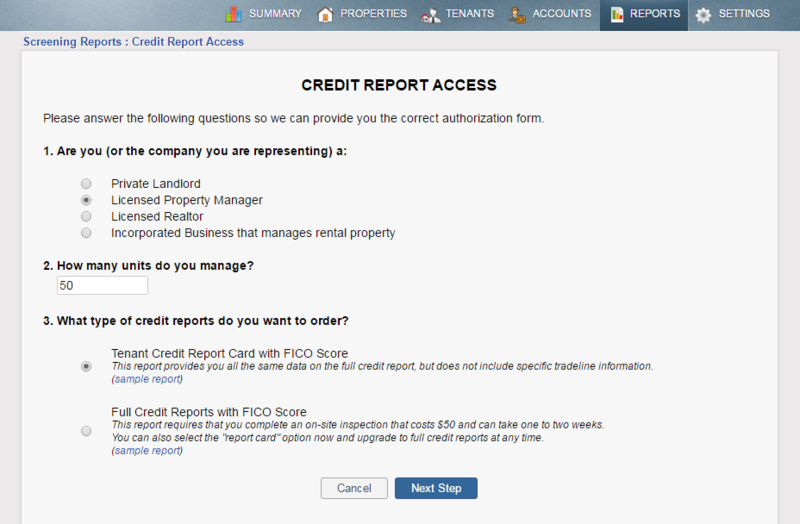 How do I order a New Tenant Credit Report Card? Good news! If your account is already enabled to for credit report access, the next time you order a credit report card on your rental applicant, you will automatically receive this new report! If you have not enabled your account for credit report access you need to take a few simple steps. Your Rentec account is already set up to instantly order criminal, eviction and background reports on your applicants- check it out in the Reports Tab! You can also have instant access to credit reports once your account has been enabled for credit report access. You just need to complete the electronic application and we will have your account ready to go! Since the process is completely electronic now, you can start ordering reports quickly. Signing Up for Credit Report Access is easy. Just CLICK HERE to enable your account for ordering instant credit reports. Once approved, you can start ordering reports right away. 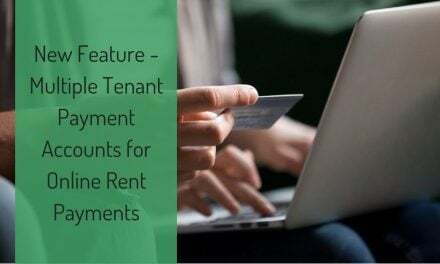 The tenant screening platform is integrated with your management software so you can easily populate data from your rental applications into the screening report database. Not yet a Rentec Direct client? Signing up is easy and it’s free! Visit Rentec Direct and start protecting your properties today. Remember that accessing credit reports with Rentec Direct are only legal if you are a landlord or property manager using the reports for tenant screening only. All other purposes violate Rentec Direct’s terms of services. I really like the new design! Looks much better and provides a lot more info than the previous one. The debt ratio indicator is so helpful. I’ve been doing these calculations myself-this will save me time! That’s great news Robin! We love hearing about new solutions that will save our clients time.